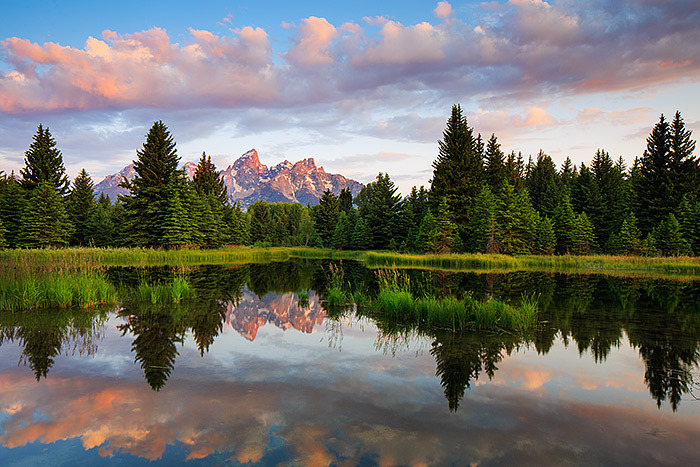 Clouds drift over the Grand Tetons at sunrise from Schwabacher Landing. Sunrise illuminates the bottom of the clouds in a subtle pink color while the Tetons turn with a more intense red glow in what can only be described as a post card perfect sunrise. Photo © copyright by Thomas Mangan.